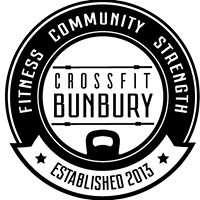 CrossFit Bunbury is more than just another gym. We are a community, we all share a common goal of becoming the best versions of ourselves possible. Whether you are new to exercise or you’re already fit and strong and looking for a new challenge. Our Coaches will help you achieve the results and reach the potential you deserve. CrossFit workouts are challenging and intense, but always scalable for each individual; from beginners to advanced, or from elderly to elite athletes. It’s like Personal Training, but at a fraction of the cost.